mr. nice guy: check out my new album: "Night Music"
i was awoken the other night at 3 am by the sounds of water buffalo mating in my room. i turned with a jolt expecting to see a stampeding herd of angry large mammals, preparing to stomp my brains out. but, no. it was just my dainty bride, snoring like an out-of-tune oboe. as i lay there, impressed by the subtle acoustical skills that my wife had hitherto never evinced, it dawned on me that i was witnessing a performance for the ages! well, what does one do in such a circumstance? 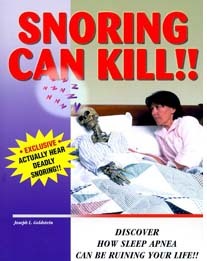 nudge one's wife in hopes that she stops snoring? NO! one documents! so in the disinterested pursuit of Truth, i thought it would only be prudent to whip out my tape recorder and save this mellifluous nose-music for posterity. people, that's just what i did. the story does not end here, precious weensy friends of mine. nyet! since the in-laws were in town, i thought it would be unfair not to share the recording of their daughter's snores with them the following day. knowing how modest my wife can be about her talents, i was careful not to tell her what i was about to do. instead, as we were listening to Terry Gross talk to some guest about his birdcall recordings, i said to no one inparticular: "You know, on occasion I do a bit of field recording myself." and with that, i whipped out the illicit tape and played mrs nice guy's nightsong back to her and her parents. and we laughed, oh how we laughed! needless to say, my wife was very grateful to be married to someone as thoughtful as me. very grateful indeed. not cool ;) but don't come crying when she tapes you or even videotapes you doing something that you don't know you do... but still funny! OOOOOOOOOO! You are a meanie! :) I always had my own room when I was younger so when my hubby and I got married and he told me I snore I refused to believe it. To this day I insist I don't snore but our little joke is that if he gets really mad at me he is going to tape me and play it for all our friends. Your blog is hilarious and I hope your baby is healthy and happy. I think I love mrs. nice guy. alas, anonymous, i would like to but i have not the technological knowhow. nor the balls. posolutely brilliant! if i only had the time and energy...and my pregnant wife constantly asks me, "remember when we used to be friends?" the annoyance must continue! carry on, brave soldier! This is quite possibly the most hilarious thing ever. Then again, I AM from Texas and maybe I don't get out enough. i thought i was the only one. i typically elbow my wife (she is about to burst with our second son) and feign sleep if she wakes too much. i can not believe how much the septum flaps around during pregnancy. i would never emberass her though (sarah gilbert from portland oregon) i just bide my time until our lovely son is born and the snoring hibernates until the next zygot is secured. as my 2.5 yr old says, "you are funny!"